Based in Fort Lauderdale, Florida Seabulk Towing Incorporated is a wholly owned, subsidiary of SEACOR Holdings Incorporated of Fort Lauderdale, Florida. In 2000, Seabulk Towing Incorporated acquired Hvide Marine Incorporated of Fort Lauderdale, Florida. Hvide Marine Incorporated had acquired the Bay Transportation Company of Tampa, Florida in 1998. 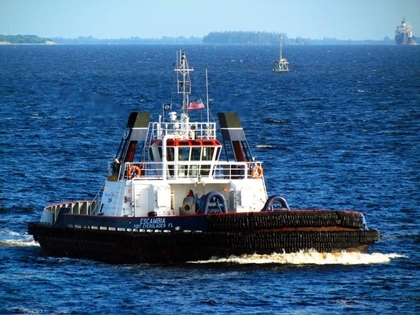 The Seabulk Towing Company operates a fleet of tractor tugs, and conventional tugs along the Gulf Coast, and the Southeastern Seaboard. Engaging in ship assists for docking, and undocking operations. Coastal, offshore towing services, global repositioning, international, and domestic salvage support. As well as LNG/LPG tanker, and barge escorts, military operations, and oil platform towage.